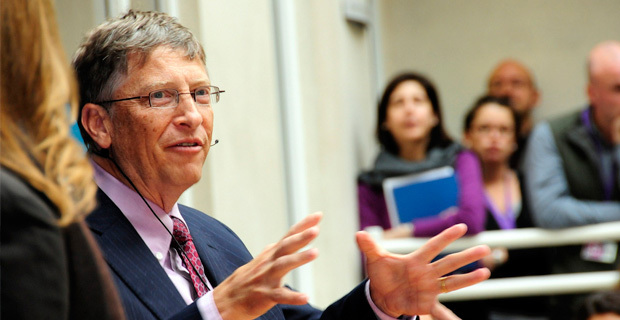 In an interview with a German newspaper Tuesday, Bill Gates expressed the need for a world government. He lamented the fact that the UN is not as effective as it should be by now. Better prepared for what exactly? Poor Gates. He’s not as young and agile as he used to be. He needs the convenience of one world government to meet all his nefarious needs. Men like Gates only became filthy rich because of the licenses they’re given all over the world, through copyrights and patents, to charge a premium from people for technologies they developed using government subsidies, cheap money, or the exorbitant premiums they collect. It takes forever to negotiate with all these separate governments. A one world government would mean no more unsavory and time-consuming visits to two-bit dictators around the globe, to ‘win’ their allegiances through sometimes risky bribes. Through one world government, people like Gates would enjoy one stop shopping, at a wholesale outlet for greed and corruption, from which they could conveniently control the entire planet. Easy pickings for a man who’s accustomed to global monopolies.